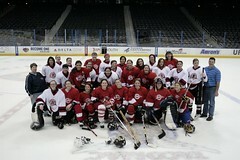 This week we’ve got a women-only scrimmage on the schedule. If you haven’t already RSVP’d for this week and would like to play, send us an email. Please note this week’s ice time will begin at 9:45pm. See you on the ice! 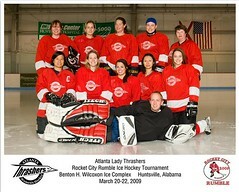 Previous Welcome to the revamped Atlanta Lady Thrashers Website! 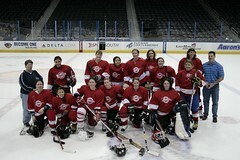 Next Several Lady Thrashers Participate in USA Hockey Nationals!